A finish to report this week! Lady of Lake Erie in Reds is finally finished. This quilt finished at 94x94 and will be quilted soon as a gift for my Mom. Also completed this week was my second Lucy Boston Patchwork of the Crosses. 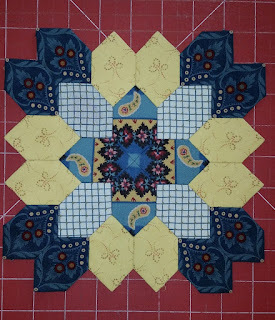 This will be an on going project until I have enough blocks to make a quilt, or until I get tired of hand piecing them! Added to the stash were fabrics to make the Union Blues Quilt. You can see them over at Sandi's Blog. 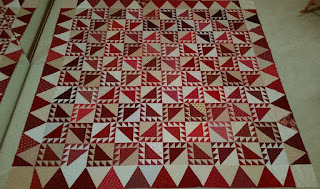 This will hopefully be one of the quilts we work on together in 2016. Have a great week and get in some sewing time! Like the Red Lady of Lake Erie, does your mom know that this one is for her? 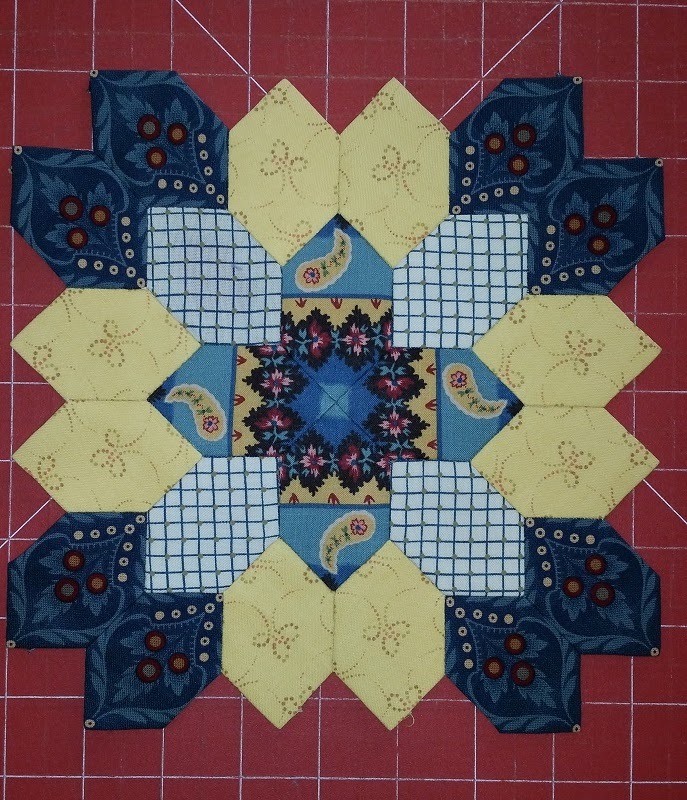 and the Crosses will make up into a nice quilt, will they be in different colors or all the same ?